The Space Shuttle Columbia in better times. 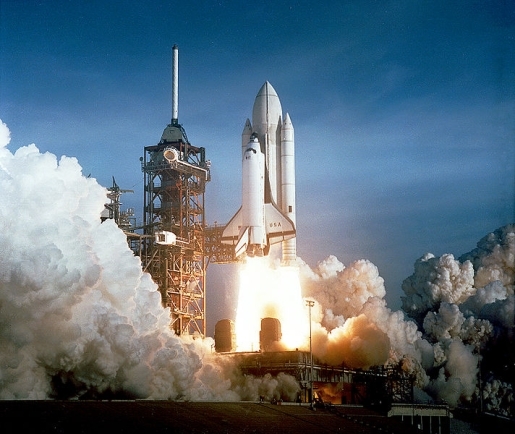 When it comes to space shuttles, the poor, doomed Space Shuttle Columbia has more in common with the fatally-flawed Challenger than its retired bretheren Discovery and Atlantis. After Columbia’s explosion in 2003, parts rained down across the plains of Texas, and some, but not all, of the parts were recovered. However, those parts recovered just got a little more prominent. A four-foot water and power tank from Columbia was discovered in Lake Nacogdoches in east Texas thanks to drought. The Columbia broke apart upon reentry on February 1, 2003. NASA’s Space Shuttle fleet has since been retired.